The story begins in the 1960s in San Francisco, where the founder of the Hare Krishna movement, Bhaktivedanta Swami Prabhupada, on a one-man mission from India, gathers young people around him and teaches them about Krishna. A group of Prabhupada's American disciples leave for London, the center of the 1960s music and pop culture. There they gain national attention by chanting Hare Krishna in public and befriending the Beatles. In 1969 Prabhupada arrives in England and is hosted by John Lennon at Tittenhurst Park, where he personally mentors George Harrison. Exciting days follow for Prabhupada and his dedicated band of young followers - their recording on the Apple label makes "Top of the Pops"; they open Britain's first Hare Krishna Temple in Bloomsbury, London, and with George's backing, they establish Bhaktivedanta Manor, a major temple in the countryside of Hertfordshire. 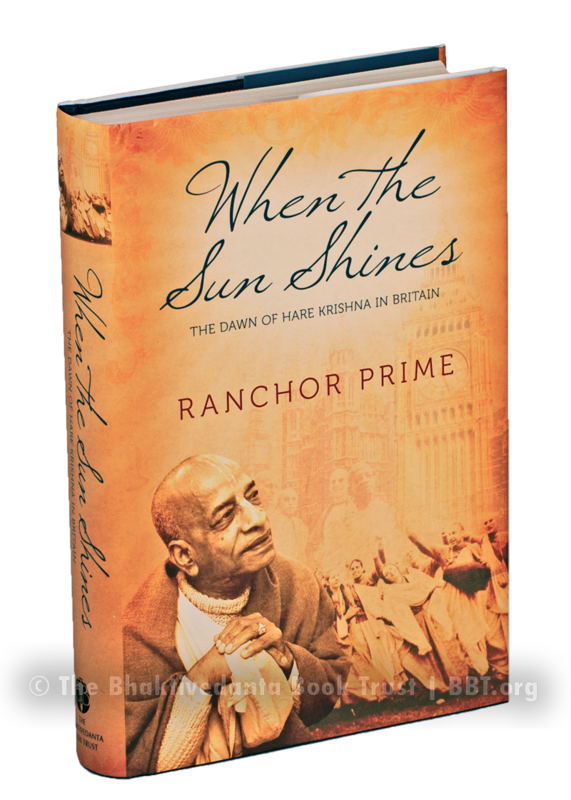 Ranchor Prime, one of the early members of the British Hare Krishna community, writes with feeling and sensitivity. His carefully researched account weaves together the personal experiences of more than seventy of those who were there, bringing to life this extraordinary story.